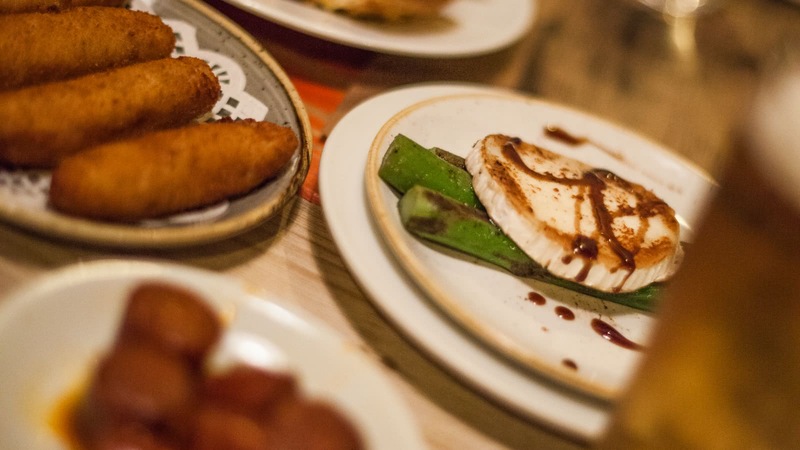 This 3-hour Barcelona tapas experience gives you a great entrée into some of Barcelona’s best food. 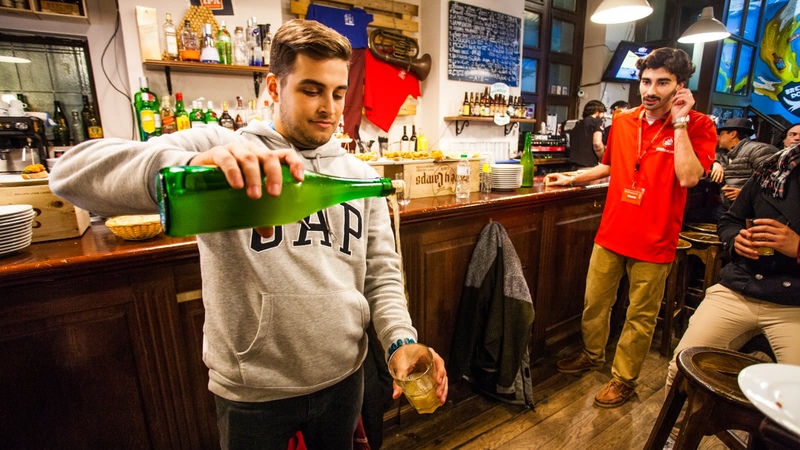 Taste traditional tapas in the popular Barceloneta and El Born districts, as well as learning how to pour cider from a traditional Spanish porrón. 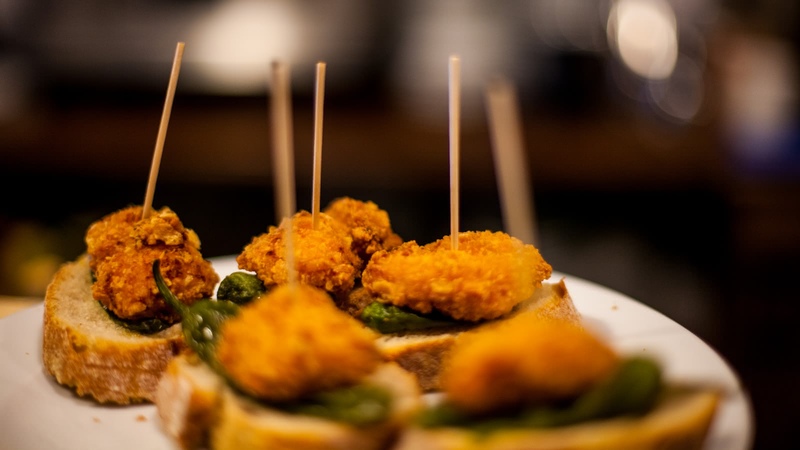 This great evening out includes a selection of the most popular tapas in the country, some of Barcelona's best tapas bars and and great discounts on a wide range of tapas additional to those included in the ticket price. 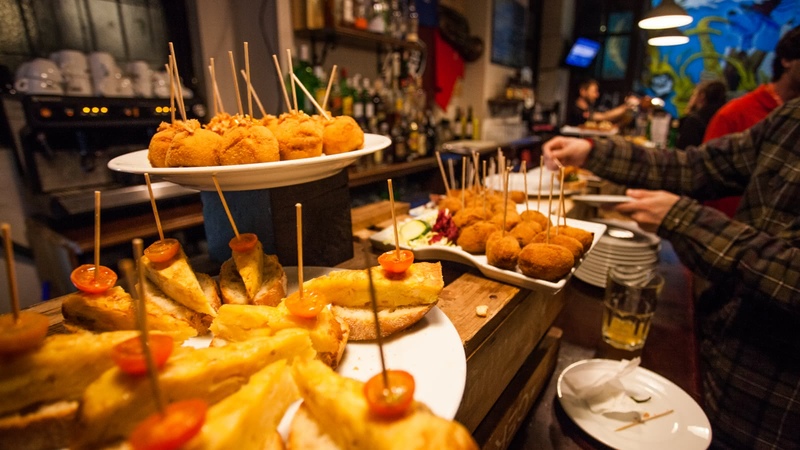 Your Barcelona Evening Tapas Tour starts by the Jaume I metro exit and finishes by the Barceloneta metro station. 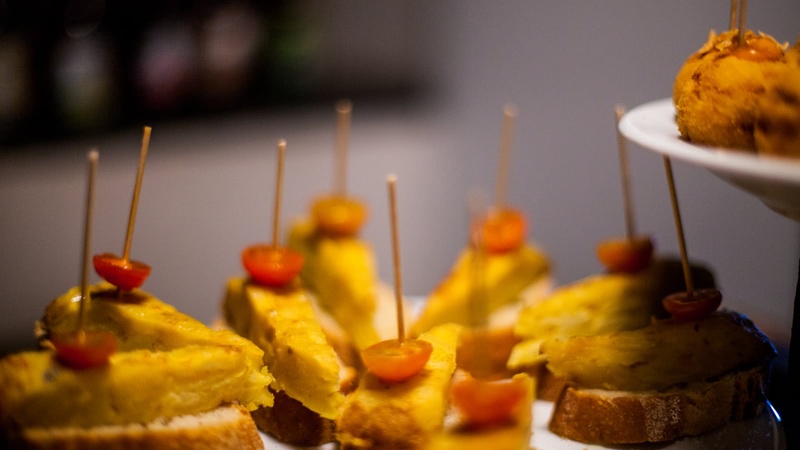 There is nothing more quintessentially Spanish than going out with friends to enjoy tapas, and on this Barcelona tapas tour, your experienced leader will take you to some of the best and most authentic tapas bars in Barcelona with some new friends from around the world. 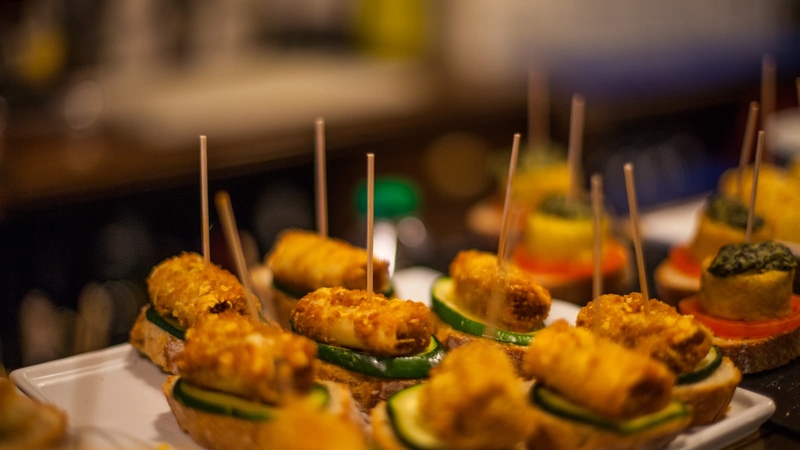 During the evening, you will savor some of the most delicious and typical bites that the city has to offer. 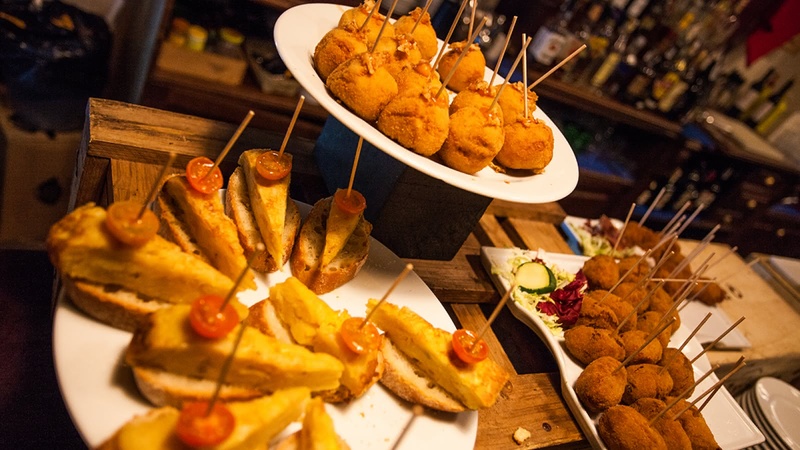 Try the chorizo criollo, as well the pa amb tomàquet, croquetas, jamón, patatas bravas and pinxtos. Vegetarian options are available too! And don’t forget the drinks! 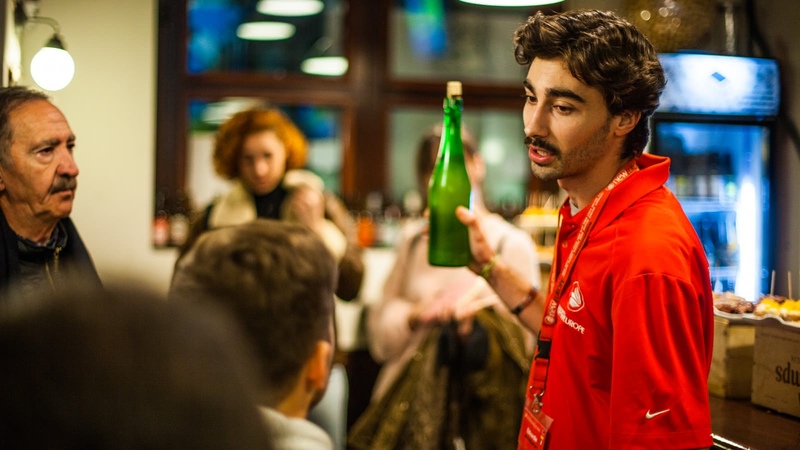 This tapas tour also teaches you the traditional art of drinking from a Spanish porrón, and teaches you the art of pouring cider as the locals too! Plus there is a sangría, beer or soft drink included. Is there a way to add more stars? The tapas tour was 100% worth it. 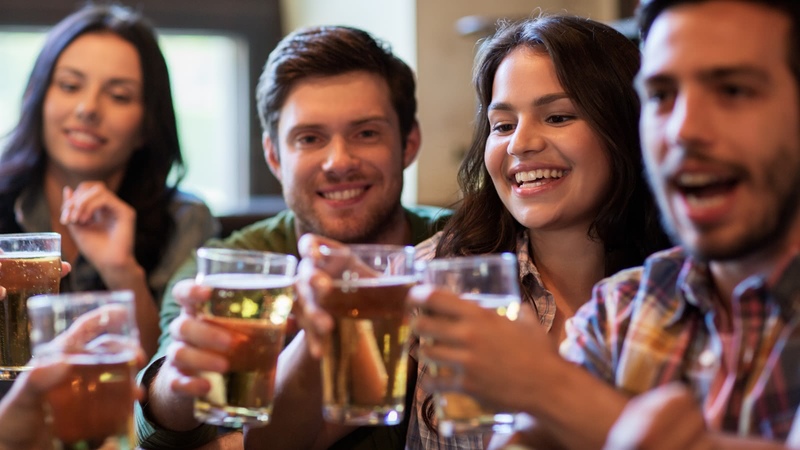 As a solo traveller it was a great way to get to know fellow travellers and share experiences. We learned the history and customs around tapas and had some delicious food. Our tour guide, Stefy, was fantastic! She helped us get comfortable with each other right away and ensured we had a great time. Great knowledge of the history of both the tapasstyle and the area, 5+ stars! Had 3 nights in Barcelona so decided to go on the tapas tour. Ivan was a fantastic guide and took us to 3 venues and told us so much about the history of tapas and the city. Would highly recommend you do this tour. We did the Tapas tour with Eduardo which was fantastic. 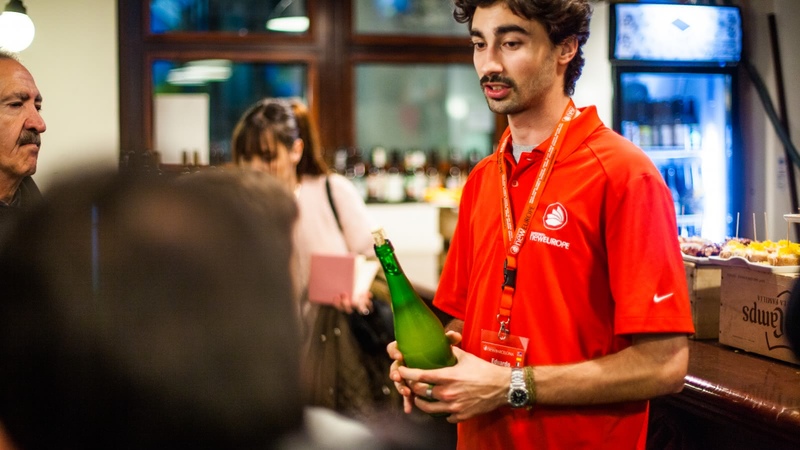 He took us to 3 venues where we tried different taps as well as trying cider and pouring it into a glass the Spanish way! More went on the floor than in the glass. We also were shown how to drink sangria out of a porron which is a glass vessel similar to a jug. Eduardo was very friendly and knowledgeable and provided excellent information without getting everyone bored. Great tour and good value for money. 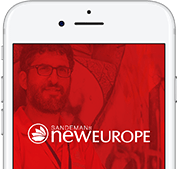 Amazing free walking tour and tapas tour!!! Had Daniel for our free walking tour and he was great! Had tons of places to recommend in Catalonia and it was a great first day in the city! Stefana was our Tapas Tour guide and she was the best! Super friendly! And super informative about everything! Definitely recommend these tours for first time visitors like us. My husband and I did the tapas tour with Stefana (I hope the spelling is right!) for her first tour and we loved it! We went to 4 tapas places to eat and drink, and at each place Stefana would explain the history behind tapas and the drinks served to us. There was a great variety of food and drinks which we hadn't yet tried (or knew about) and it was a good way to meet new people. Stefana was very knowledgeable on the history of the food and drinks and was super friendly! Would definitely recommend! Taste the best that Barcelona has to offer! You can see the beautiful sites of Barcelona, and hear the local sounds, but no trip here would be complete without tasting some of the local culture too!